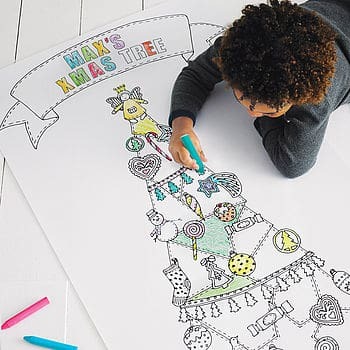 You can get some giant colouring page Christmas trees that you can colour in with your kids and add to your walls this Christmas. 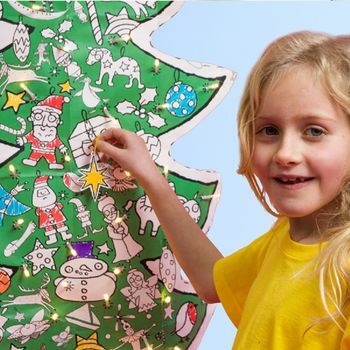 This is an extra little project that the kids can do to keep them occupied and they’ll feel really accomplished after colouring one of these giant Christmas tree pages! It’s also a great way for you to spend some extra time with the kids, doing something creative and fun. If your kids have craft boxes, it’s a good opportunity to use some of the glitter, sequins and sparkle to decorate your Christmas tree creations. 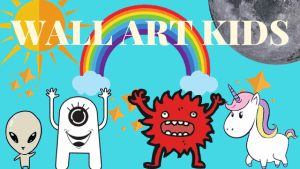 You can also purchase additional stickers, crayons or felt tips with this poster. Two sizes are available, in either large at 4ft or giant at 6ft. by CLAIRE CLOSE and free UK delivery. 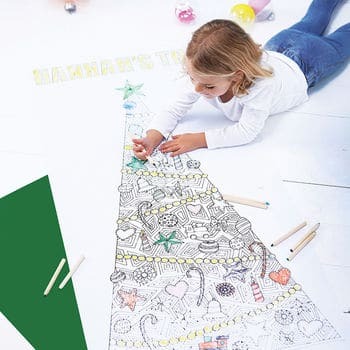 Another great colouring in Christmas tree, packed full of fun decorations to colour in. There are also numbers included in the tree, so you can use it as an additional count down to Christmas. Alternatively, you can get the poster without numbers, so you can just use it as a colouring in sheet. 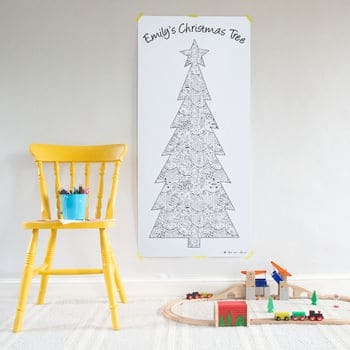 You can also personalise the poster – for example: “Emma’s Tree.” As with the product above, you can also purchase additional stickers with this tree and there are 15 in a pack, as well as additional crayons or pens if you need. Available in 4ft and 6ft. by CLAIRE CLOSE with free UK delivery. 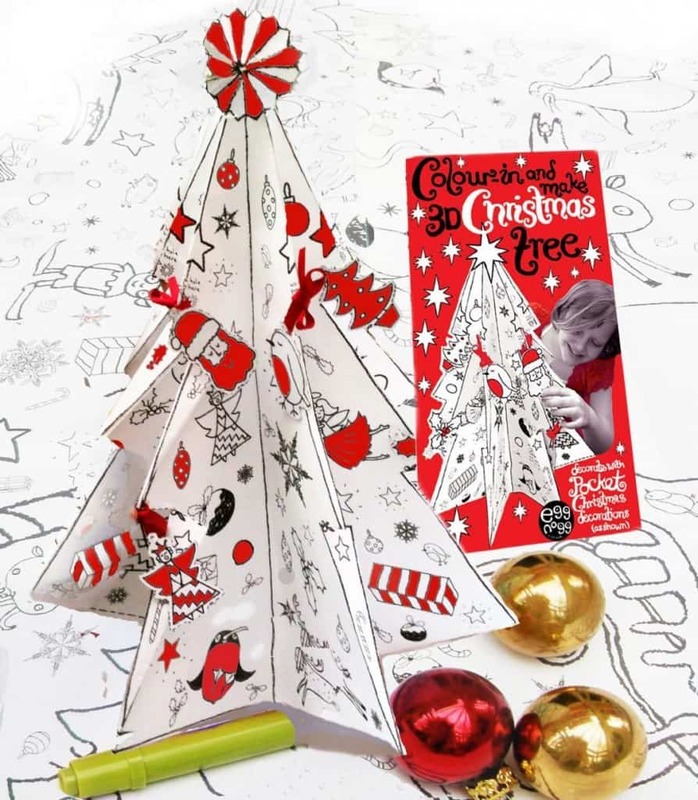 A little bit different from your regular colouring in page – this Colouring in 3D Christmas tree would make a lovely stocking filler or Christmas Eve or Christmas day activity. It comes with some lovely little decorations to attach, as seen above. It’s 45cm high. by Harmony At Home, Children’s Eco Boutique. Which colouring-in Christmas tree is your favourite? Do you think your kids would enjoy colouring one of these posters in? You may also love some of these Christmas Wall Stickers! If you found something you liked, leave my a comment! What a wonderful idea! I love these posters and I can see my grandkids getting hours of fun out of them! They look pretty sturdy too, which is so important when littlies are lying on them to colour in. Your website is really lovely and you have such a lot of good ideas! Your ‘colouring in’ wallpaper reminds me of my parents-in-law’s spare bedroom – it had a frieze all around the wall with funny little people on it. Over the years, everyone who slept in the room gradually added features, clothes and colour to the people! I wonder if you know whether these are available in Australia? I’d love to get some for my grandsons! Thank you very much indeed – 🙂 I’m pleased you like it. Your parents in-laws room sounds great, I love the idea of people gradually adding features. I’m not sure specifically about australian sites – however, the “claire close” christmas tree posters above from notonthehighstreet – can also be shipped to Australia. It does cost over Â£19 though, which is on the pricey side. Many thanks for your comment! Some great options there and being a parent i look forward to such fun activities which I can do with my 4 year old. I really like the 3D Christmas Tree where he can actually color and setup his own christmas tree and also be introduced to the concept of coloring properly as till now it has been mainly coloring bigger images, this will help in coloring smaller areas and relevant colors. My daughter who is nearly 5 (I sound like her), just loves colouring, and to have something to colour that fills the floor. She would love that! I think I would quite enjoy it too. What an original idea… And it looks really good quality.. Thank you for sharing it! These are great! 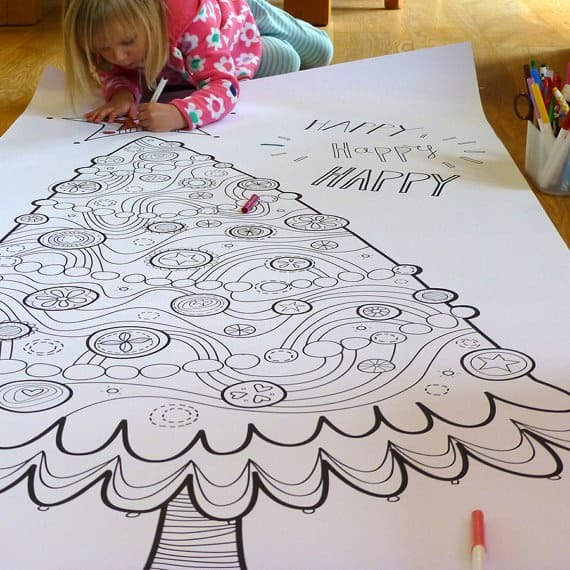 I’d never heard of colouring in giant christmas trees but they’re a great idea, my kids would love them! I’m trying to picture where I’d put them…do some of them come with fixtures to attach them to the wall do you know? Have you got a favourite you could recommend? Thanks in advance! Hi, usually you have to attach them I believe. Thanks for coming by and commenting. Personally, I love colouring in tree by Claire Close.